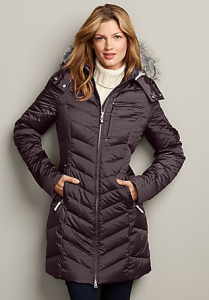 Eddie Bauer: Perfect Outerwear for the Entire Family, Check out this Sun Valley Down Parka! Day 5 of the Holiday Gift Guide! Outerwear. Seeing as the holidays are during winter this is always a popular one! High quality, durable outerwear is very important if you live in a colder part of the US and Eddie Bauer excels in making just that! 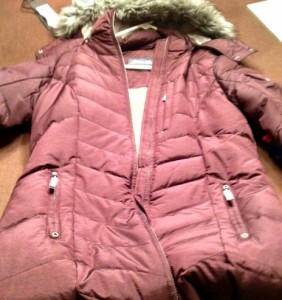 I was sent this gorgeous Sun Valley Down Parka for review and wow, I don’t think I have even had such a WARM parka! AND it is pretty!! I picked the Plum color (like I’ve said, purple is my favorite color!). In person, the purple is actually a lot prettier than that picture even! You can tell the quality of the jacket immediately when you touch it, the outside has a cotton, nylon, polyester shell and it is very well made. It doesn’t feel plasticky at all but thick and sturdy. 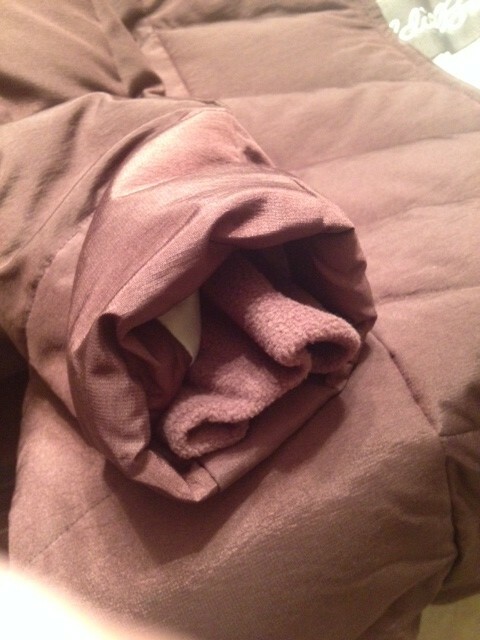 The inside has a gorgeous lining and you can really see the quality and detail that went into putting it together. 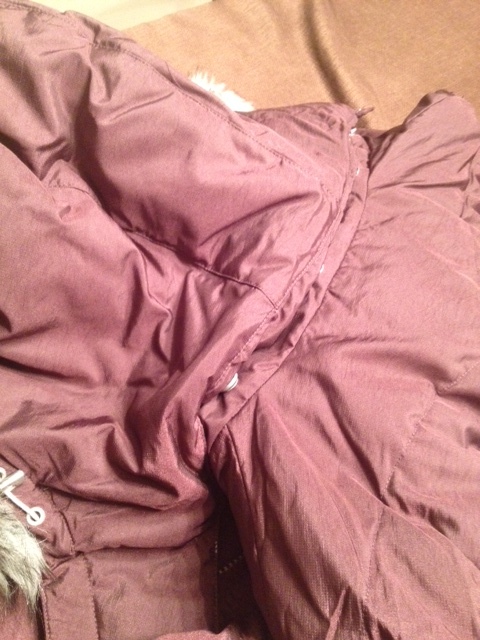 One of my favorite features on this jacket though are the sleeves. A pet peeve of mine is jackets that are loose around the wrist, especially when it is very cold as the cold air just flows straight up your sleeve. Kind of defeating the purpose of jacket! Well this has a nice form fitting inner lining that prevents that. It fits nice and snug around your wrist! Love it. The hood has a fashionable fur lining around it and the nice thing is you can actually detach the whole hood if you want! 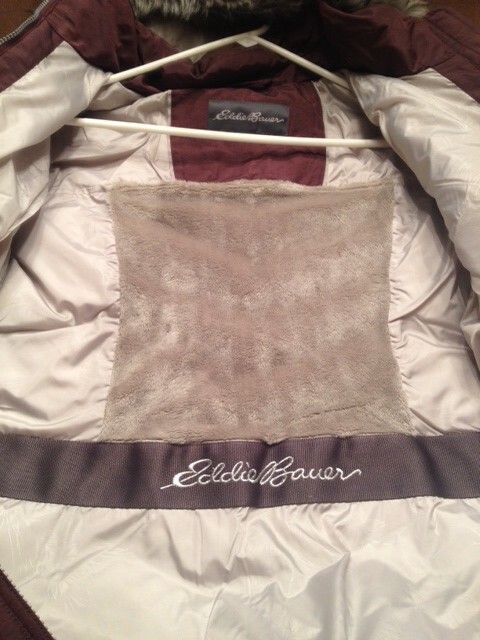 Overall I was very impressed with Eddie Bauer on this one! I’ve bought a few things from them before but never a parka and this Down Parka will definitely have me going back for the whole family! Oh and the other plus with this one — it is snug!! Like the sleeve issue, I don’t want a loose fitting jacket, I want something that is going to keep me warm and this does without question! Besides warmth, our parka provides extra weather protection with exclusive StormRepel® durable water-repellent (DWR) finish. Water beads on the nylon/polyester/cotton shell rather than soaking into the fabric. 650 fill Premium Down for exceptional warmth without weight. Metallic cross dyeing process gives the fabric a subtle, iridescent sheen. Two-way front zipper adjusts easily when you’re active or sitting. You can check out this one over on EddieBauer.com! Be sure to check out the jackets for the entire family too!